In total, 16 players born in Kentucky have been selected as MLB all-stars. Just 11 have been selected to multiple all-star teams. 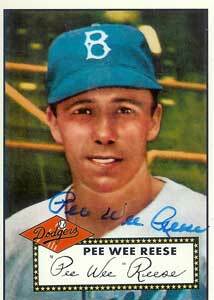 Hall-of-famer Pee Wee Reese leads all Kentuckians with 10 all-star selections. Ashland native and Arizona Diamondbacks right-handed pitcher Brandon Webb leads active Kentuckians with three selections. Florida Marlins second baseman Dan Uggla, born in Louisville, and Colorado Rockies right-handed pitcher Aaron Cook, born in Fort Campbell, are the other active Kentuckian all-stars. Former MLB outfielder David Justice, who was born in Cincinnati but attended high school in Covington and college at Thomas More was selected to three all-star games. Webb (UK), Justice and Paul Derringer (Georgetown College) are the only alumni of Kentucky colleges to be selected as all-stars.